• Welcome Lake had fairly clear water, with moderate algal growth and fairly high nutrient concentrations. • Nitrogen-to-phosphorus (NP) ratios were below 25 for much of the monitoring season. This indicates the potential for algal blooms to be dominated by cyanobacteria (which have the ability to produce toxins). • No algal blooms were reported for toxin testing in 2018. Please see below for a link to the full 2018 Welcome Lake Monitoring Report. This bathymetric map shows contour lines of equal depth, similar to a topographic map would for mountains and valleys. 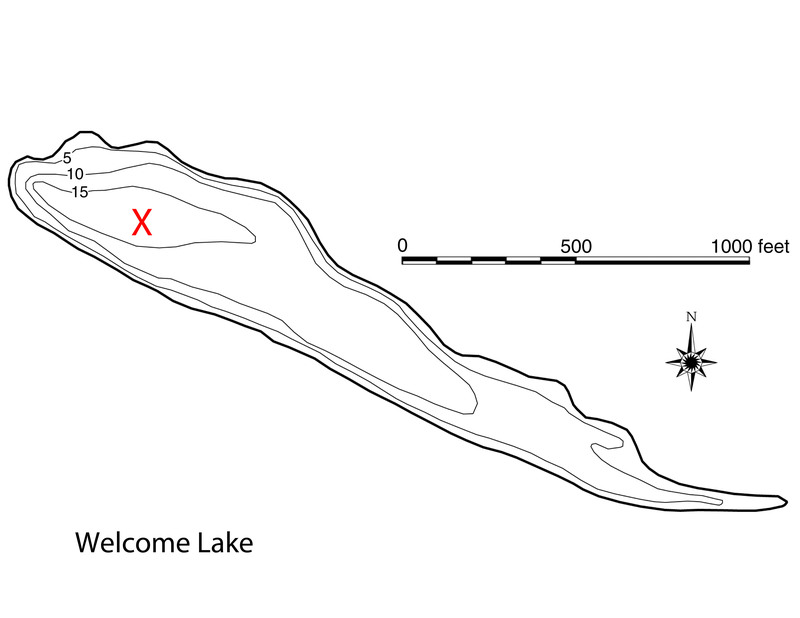 The red 'X' marks the location where water quality samples are taken. 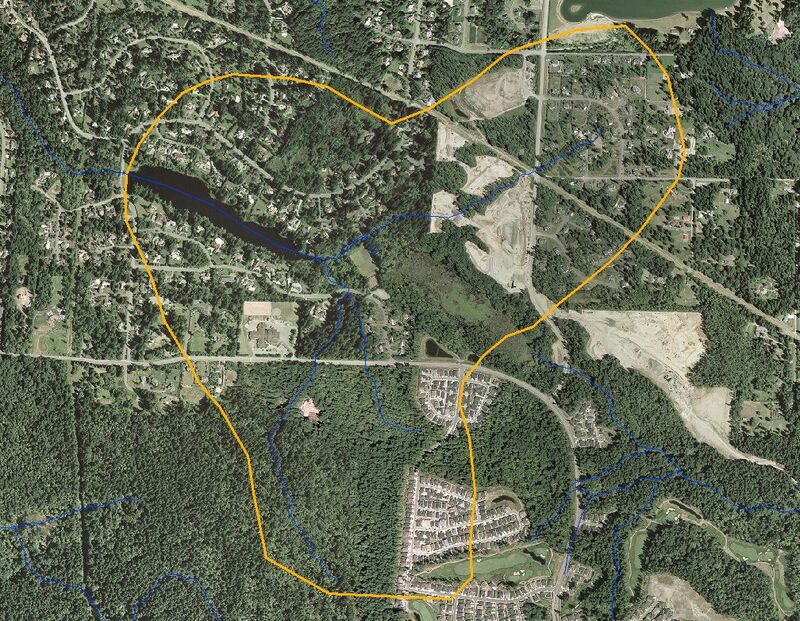 This map shows the area of the watershed relative to the area of the lake. Generally speaking, the larger a watershed is relative to a lake, the greater the influence land use practices on lake water quality. Through a combination of efforts by volunteer lake monitors and King County staff, data relating to physical, chemical, and biological aspects of the lake have been collected for most lakes. The King County Lake Stewardship Program analyzes data to track long-term water quality trends in small lakes in western King County. Use this tool to view or download data from the lake in tabular format. You can define date ranges and select which parameters to view or download. Use the charting tool to look at graphs showing single parameters for a single water year at a time. A common method of tracking water quality trends in lakes is by calculating the “trophic state index” (TSI) (Carlson, 1977) and testing the values for positive or negative trends over time. TSI indicators predict the biological productivity of the lake based on water clarity (Secchi) and concentrations of total phosphorus (TP) and chlorophyll a (Chlor). Generally at least 8 years of data without major lake management activities are needed to have confidence in a significant trend. >50 = eutrophic (highly productive).